The United Farm Workers union announced a change in leadership on Tuesday. Arturo Rodriguez will step down after 25 years at the helm of the union and will be replaced by Teresa Romero. The union says Romero will be the first Latina president of a U.S. national union. (UPDATE: August 29, 2018 11:37 a.m.) The Dolores Huerta Foundation is congratulating Teresa Romero on her new position. 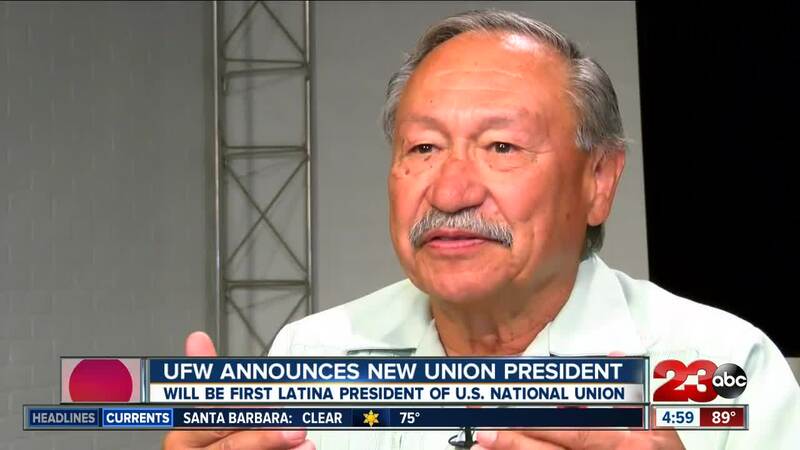 In a statement, the foundation says they applaud the UFW executive board for unanimously electing the first Latina and immigrant woman president. The foundation also says that this election is a milestone for women in the labor movement and an inspiration for women around the world. The president of the United Farm Workers union is stepping down. Arturo Rodriguez has been president of the UFW for the past 25 years. He will be replaced by current Secretary-Treasurer Teresa Romero. Romero has been with the union for the past 9 years, serving as both the secretary-treasurer and chief administrative officer. Romero will become the first Latina and immigrant woman president of a national union in the United States. Rodriguez's last day as president will be December 20, 2018.